A cross section of trucking recently raised the threat level the driver shortage poses — a shortage that has grown old along with the industry, saying this time the situation is more acute than ever. In 2010, there were 7.5 unemployed people for every job opening. Today there are less than 1.5 for every job opening. “This is for the entire economy,” said Bob Costello, chief economist at American Trucking Associations. “Other industries are talking about labor shortages. That is going to make it more difficult for trucking companies to recruit new people into this industry. That is going to be tough,” Costello said. Less-than-truckload carrier A. Duie Pyle Inc. has felt over the years the strain to recruit drivers, said Chief Operating Officer Randy Swart. A. Duie Pyle ranks No. 78 on the Transport Topics Top 100 list of the largest North American for-hire carriers. Jeff Sass, senior vice president for North America Truck Sales at Navistar International Corp., agreed that the driver crunch has hit. “We are starting to see some fleets that are talking about having more loads than drivers. So the driver shortage is continuing to rear its head and it is going to be a significant decision point for most fleets as we go forward,” he said — raising the question: How do fleets become more productive, cut down on delay time or increase loaded miles given hours-of-service limitations? One truckload carrier is scrambling to grow to meet improved business conditions by luring away owner-operators from their previous fleets. “The challenge with finding qualified drivers has been an ongoing challenge for the last 17 years I have been in the transportation industry, and has only continued to become a greater challenge,” Rich Casoli, vice president of business operations at Beemac Trucking, told Transport Topics. Over the past 12 months Beemac has grown by more than 100 drivers and trucks, Casoli said. The Ambridge, Pa.-based truckload carrier operates 350 tractors, including 300 owner-operators and 50 company drivers, and has 21 terminals across the eastern half of the United States. “We brought on 20 trucks and drivers out of Franklin, Pa., four weeks ago. That was the last major partnership,” Casoli said recently. “They shutdown their operating authority and started to operate as Beemac drivers under our operating authority,” for a variety of reasons that he did not specify. Costello also pointed to the fast-approaching deadline of Dec. 18 for implementing electronic logging devices. “We do know [the mandate] does skim off a little productivity off the top. So that means you have to have 3, 4, 5, 6, 7% — somewhere in that range — more trucks to haul the same amount of freight, and you need to have more drivers,” he said. Also, even oil prices in the high $40 a barrel range are generating more work in the oilfield services sector as production has become more efficient and cost effective. So that segment siphons off drivers from the truckload sector, Swart said. That takes drivers way from the for-hire segment, especially truckload, he said. 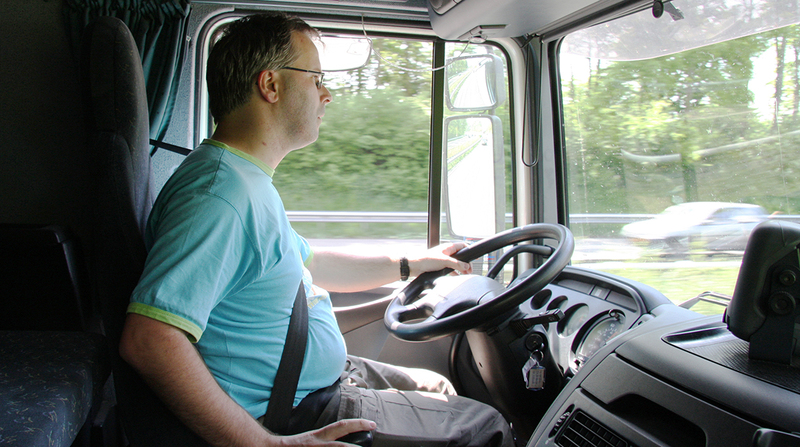 On the less-than-truckload side, it isn’t so much that those drivers leave too, he said. But when truckload gets compressed in capacity, shippers start putting the larger (8,000-12,000 pound) shipments into LTL, “which means LTL has to hire more drivers, and gets hit with [the fact that] there may not be drivers available,” Swart said. “So everything kind of impacts everything else somewhere,” he said.